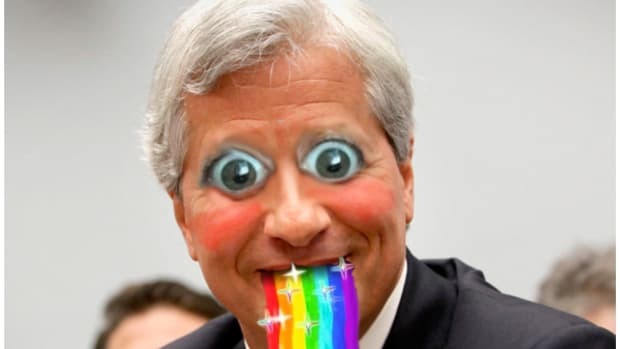 We&apos;re not saying that Jamie Dimon isn&apos;t a competent multitasker, but we are saying that he needs to be more careful about not mixing up the "Dimon_2020" and "WorkStuffz" folders on his computer desktop. 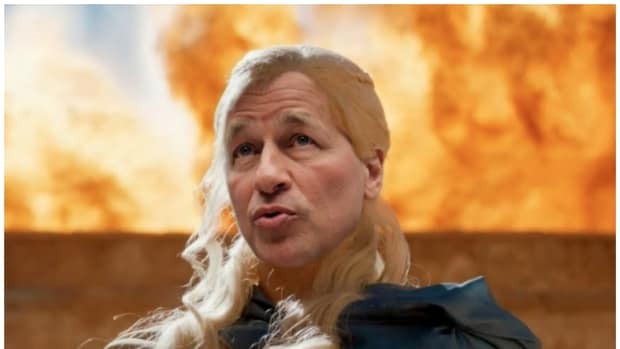 Dimon&apos;s annual letter to JPMorgan shareholders came out this morning, and while it&apos;s not abnormal for The Khaleesi of Wall Street to opine on government policy in his yearly epistle, Jamie went absolutely HAM on policy ideas for 2018. 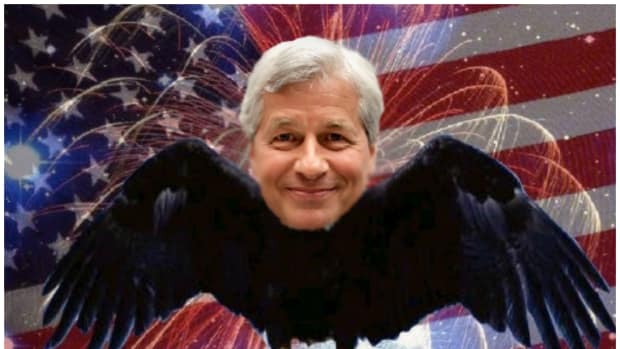 The width and depth of stuff that Dimon felt compelled to address in the course of a section titled "Public Policy" is almost unprecedented by his standards. Two years back, Jamie spent about three double-column pages making broad points about how bad public policy is bad. He stepped it up a bit last year after watching the election and did a nice 13-page rundown of stuff that he wanted to see from President Trump. But this year he spent roughly 9,000 words going deep on a variety of policy ideas that feel less like a financial firm addressing reality than it does like a later draft of a political platform. 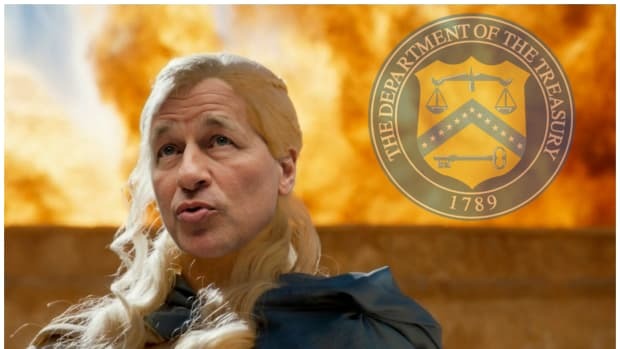 While we understand that we might be an unreliable source based on our fringe #DraftDimon views, we dare any of you to read through this thing and not a tingling sensation that Jamie is contemplating how he would look in the Oval Office. Business, taken as a whole, is the source of almost all job creation. And we need to maintain trust and confidence in our businesses as in all of our institutions. Confidence is a “secret sauce” that costs nothing, but it helps the economy grow. A strong and vibrant private sector (including big companies) is good for the average American. Entrepreneurship and free enterprise, with strong ethics and high standards, are something to root for — not attack. To support this, we need a pro-growth policy environment from the government that provides a degree of certainty around long-standing issues that have proved frustratingly elusive to solve. The most pressing areas where government, business and other stakeholders can find common ground should include tax reform, infrastructure investment, education reform, more favorable trade agreements and a sensible immigration policy. Our schools are leaving too many behind. In some inner city schools, fewer than 60% of students graduate, and of those who do, a significant number are not prepared for employment. Additionally, many of our high schools, vocational schools and community colleges do not properly prepare today’s younger generation for the available professional-level jobs, many of which pay a multiple of the minimum wage. Infrastructure is a disaster. It took eight years to get a man to the moon (from idea inception to completion), yet it now can sometimes take a decade to simply get the permits to build a bridge or a new solar field. The country that used to have the best infrastructure on the planet by most measures is now not even ranked among the top 20 developed nations according to the Basic Requirement Index. Our immigration policies fail us in numerous ways. Forty percent of foreign students who receive advanced degrees in science, technology and math (300,000 students annually) have no legal way of staying here, although many would choose to do so. Most students from countries outside the United States pay full freight to attend our universities but many are forced to take the training back home. From my vantage point, that means one of our largest exports is brainpower. By collaborating and applying some good old American can-do ingenuity, there is nothing we can’t accomplish. By working together, business, government and the nonprofit sector can ensure and maintain a healthy and vibrant economy into the future — creating jobs, fostering economic mobility and maintaining sustainable economic growth. Ultimately, this translates to an improved quality of life and greater financial security for those in the United States struggling to make ends meet. It also represents a significant step in restoring public faith in two of our greatest democratic institutions in the United States: business and government. Working together will allow us to move toward a prosperous future for all Americans. It is an absolute necessity that America maintain a world-class economy, with world-class companies and a world-class military. We need to do a significantly better job of managing our economy if we want it to be world class. And, finally, ceding America’s leadership role on the world stage is a bad idea for everyone — inside and outside our great land. We must all collaborate and respect each other to make the world a better place. 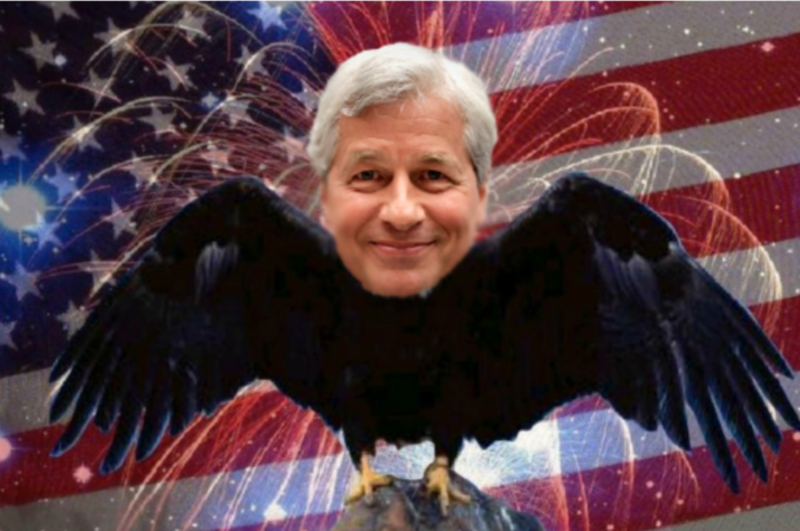 This letter isn&apos;t an official announcement that #DraftDimon has been achieved but it&apos;s definitely measuring the drapes.